Dutch Engineered Wet & Dry Trimmer $4.99 Down From $19.99! Ships FREE! You are here: Home / Great Deals / Dutch Engineered Wet & Dry Trimmer $4.99 Down From $19.99! Ships FREE! GearXS has this Dutch Engineered Wet & Dry Trimmer on sale for $4.99 (Reg. $19.99) + FREE shipping! High-speed trimmer grooms hair away wet or dry. Rotary blades spin at 10,000 rpm to safely remove hair from your ears and nose. Journey’s Edge Dutch Engineered Wet/Dry Trimmer can be rinsed for easy cleaning. 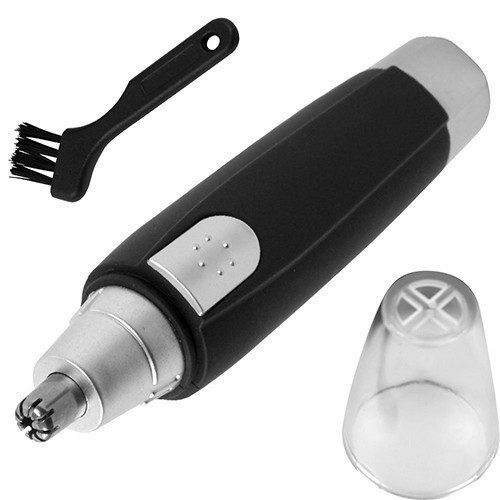 This battery operated trimmer is great for travel and easily fits into a bag or briefcase.